This LP was released as 4 2ifferent named versions. 07. Fausto Papetti Tema Dal Film "Malizia"
08. 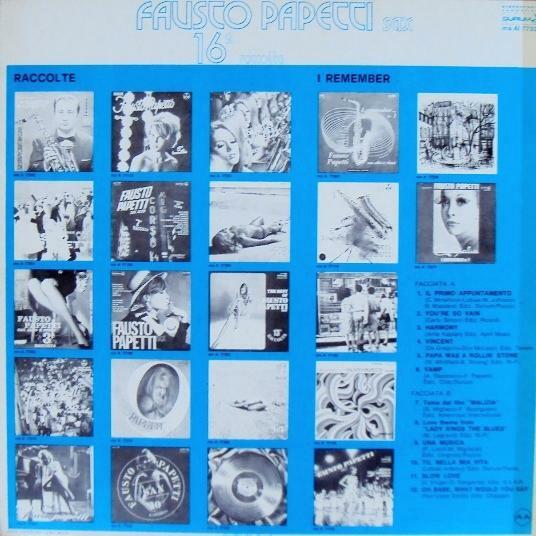 Fausto Papetti Love Theme From "Lady Sings The Blues"